Orthodontics, or sometimes more commonly referred to as 'braces', are a way of straightening crowded or crooked teeth to correct and improve the function and aesthetic of your teeth. As with all our treatments, we offer a very high standard of orthodontic care at Solihull Dental Centre & Implant Clinic. Our orthodontic treatments are tailored to suit the needs of individual patients and can help those wanting to improve their smile & boost their confidence and self-esteem. Treatments can range from the removable braces and Invisalign to the more complex fixed braces. We are fortunate to be able to refer our patients to our in-house specialist orthodontist, Dr Bikram Thind, who has clinics at the Solihull Dental Centre for your convenience. At the practice we use the latest orthodontic materials & clinically proven bracket systems to achieve the best results possible at an affordable cost to patients. These are used to move a few teeth only and this system is therefore limited in its capabilities. Simple Braces can be removed to be cleaned. Fixed Braces are glued to the teeth to which a wire is attached that moves the teeth to the required position. They can be used to treat simple to complex problems to give an excellent result. We use both the traditional metal fixed brace design as well as the innovative cosmetic tooth-coloured fixed brace which is very popular with both our adult & child patients. 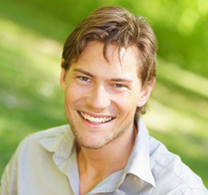 Increasing your confidence and improving your self-esteem through a corrected, more beautiful smile. Better function & performance where the teeth fit together properly, which in turn increases their longevity. Jaw & jaw joint problems can be corrected. Up to what age can a patient undergo orthodontic treatment? Age is no longer a barrier & adult orthodontics are now becoming popular with many men & women undergoing orthodontic treatment to help improve their appearance, confidence & self-esteem. With options like Invisalign and Lingual braces, having orthodontic treatments has become even more convenient more adults. How long can the treatment take? The treatment length can vary from under 1 year to 3 years depending on the complexity of your presenting problem, a patient's participation and cooperation, and the growth of their face and mouth. Generally you will see the orthodontist every 6-10 week intervals depending on the stage of your treatment & the type of brace worn. This depends on several factors like the severity of the problem and the type of brace selected by the patient. The treatment cost will be thoroughly discussed prior to commencing any treatment. We have several payment plans to help you have the treatment you choose to improve your smile. How long will my teeth stay straight for? Crowding of teeth happens in every person with age. Once the teeth are straightened retainers are fitted & worn on an ongoing basis to prevent any relapse of the treatment. The teeth may feel uncomfortable for a few days following the brace placement and after they have been tightened. This discomfort can be alleviated by painkillers. Patients 18 years of age or over with any malocclusion, missing teeth or mal-aligned teeth. If you are interested in having orthodontic treatment please contact our practice on 0121 7053935 to book a complimentary consultation to check your teeth and discuss which treatment options may be suitable for you. We will also discuss the costs of the different treatment plans with you.